After the devaluation of the yuan, the international financial markets started trembling. Washington accused Peking of taking advantage of the market. As China wants to incorporate the yuan into the Special Drawing Rights, it is inconvenient to prolong the devaluation. Furthermore, if a currency war broke out, China would risk increasing the economic and geopolitical tensions between countries in the Asian-Pacific region. That way, the United States would have more possibilities to disrupt regional co-operation initiatives and thereby undermine China’s rise as a world power. The three devaluations of the yuan, between 10 and 12 August, have key implications for the world economy and the geopolitical balance in the Asia-Pacific . The "relatively big" trade surplus keeps the effective exchange rate "relatively high" and therefore, it is not "entirely consistent with the expectations of the market", specifies the People’s Bank of China in a statement. The investors’ panic will not last long. The exchange rate ends up at 6,3306 yuan per dollar and the devaluation will not increase more than 5%. Every time China shows interest in incorporating the yuan into the Special Drawing Rights (SDR)  , the currency basket the International Monetary Fund (IMF) established in 1969, it is clear that the worth of its currency must remain stable, as it is one of the requirements that world currencies have to meet (the dollar does not meet this requirement and as a result, it decreased 70 to 60% as an international reserve of central banks between 1999 and 2014) . However, most of the Western press did not have any problem with sustaining that the devaluation of the "currency of the people" (’renminbi’) is a way to support the export capacity of the economy deviously. Donald Trump, the favourite pre-candidate for presidency on behalf of the Republican Party, was dead set against the measure taken by the central bank: the Chinese try to "destroy" US industries. The media campaign against China is not new. For years Washington has accused China of manipulating the exchange rate. However, the truth is that the yuan has not depreciated "artificially", but rather appreciated itself in comparison to the US currency. Since 2005 (when the currency system became more flexible) until now, the Chinese currency has appreciated approximately 30% in comparison to the dollar, which makes it clear that claiming the devaluation of the yuan with 4,6% during the second week of August is the main reason for the US economy’s collapse is extremely exaggerated. In practice, the Chinese currency has a good relationship with the market rates of the dollar. This way, while half-way of 2014 and in the beginning of 2015, the dollar was appreciated between 15 and 20% in respect to the currencies used most in trade (such as the euro, pound sterling, yen et cetera), but only 0,6% in respect to the yuan . However, the Asian juggernaut has to overcome many obstacles . Since a couple of years, the Chinese government has implemented a series of ’structural reforms’ so that the economy will change from an accumulation pattern that sustains on massive investment into a pattern that favours expansion of the domestic market. Last month the Chinese exportations reached 8,3% in annual terms, while its importations fell by 8,1%. That backlash is in synchrony with the extreme weakness of world trade: its expansion is at its lowest since the last 20 years . “Despite the fact that rates are still high, the growth of the Chinese GDP has also slowed down: the devaluation, however low, could reverse this tendency”, sentenced Paulo Nogueira Batista, the vice-president of the BRICS (acronym of Brazil, Russia, India, China and South Africa) Development Bank, in an interview with Sputnik Mundo . Nevertheless, it should be mentioned that Chinese co-operations export almost 60% of their goods to industrialised countries, according to Jonathan Anderson, member of the Emerging Advisors Group . Given the fact that the G-7 countries (Germany, Canada, United Stated, France, Italy, Japan, and the United Kingdom) are still immersed in stagnation and close to deflation (downfall of prices), invigoration of the Chinese economy through international trade will be complicated. On the other hand, the real estate sector starts to feel the effects of overinvestment. Promotion agencies of houses and apartments cannot find enough clients on the Chinese market anymore. The fall of sales does not permit increasing investments. As a consequence, companies that produce building equipment (steel, cement, wood, glass etc.) have been seriously damaged as they have a close tie to the real estate sector . The Chinese government developed a game of juggling with various balls . The Chinese try to change from an economy centred on mass investment into an economy stimulated by consumption without sacrificing its growth: they seek to stop speculation in the real estate sector (stock exchange, commodities, etc.) without cutting off the sector’s credit, they aspire to lead without coping with the financial volatility that the world market imposes. Will it be possible for the Chinese government to accomplish that? The deflationary crisis has consolidated in Greece and threatens to spread over most of the European economies. According to data published by Elstat, inflation in Greece fell by 2,2% in annual terms during last month, which means that deflation has been going on for 29 consecutive months now . The regional economic context is not free from deflation either . 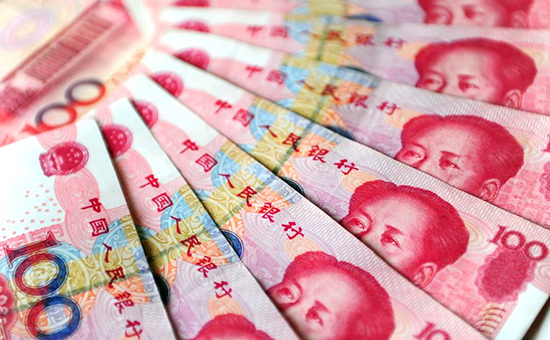 The weakened position of the yuan is not well-received by China’s neighbouring countries . The currencies of South Korea, Indonesia, Malaysia, Singapore and Thailand fell to minimum levels after the devaluation of the ‘renminbi’, while simultaneously the stock exchange closed with a decrease between 0,5% and 1,5%. If central banks in Asia-Pacific give in to the temptation of starting a devaluation tendency by means of a beggar-thy-neighbour policy , successful convocations led by China in order to move the Asian Infrastructure Investment Bank, the Silk Road fund and the Free Trade Area of the Asia-Pacific forward will be seriously threatened. In opposition, US companies do not miss out on the opportunity to seek for the support of several Asian leaders to widen the scope of the Trans-Pacific Partnership . The Pentagon wants to use the ‘Pivot to Asia’ strategy again, this time with the military support of Japan.